Shopping for Masters of the Universe Bed and Bath? 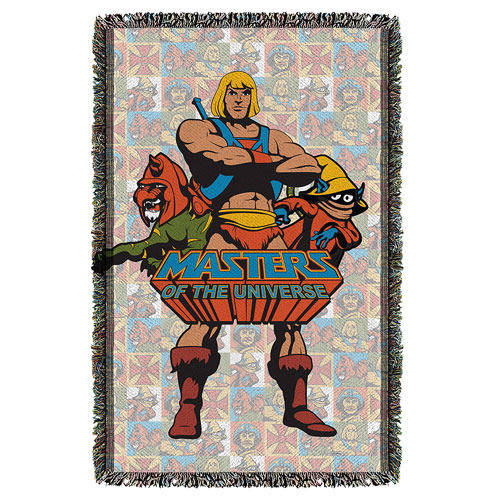 Relive the hit television series Masters of the Universe with the Masters of the Universe Heroes Woven Tapestry Throw Blanket. The blanket features your favorite heroes from the show including He-Man, Battle Cat, and Orko. Measures approximately 58-inches tall x 36-inches wide.